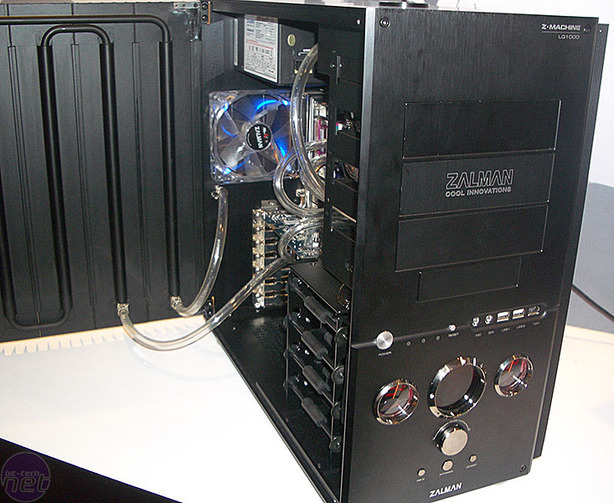 We just quickly shoot through to the Zalman stand and something new caught our eye: a fully integrated watercooled case. As a producer of many things intensely thought out, well cooled and great looking, this new prototype case fits the bill entirely. 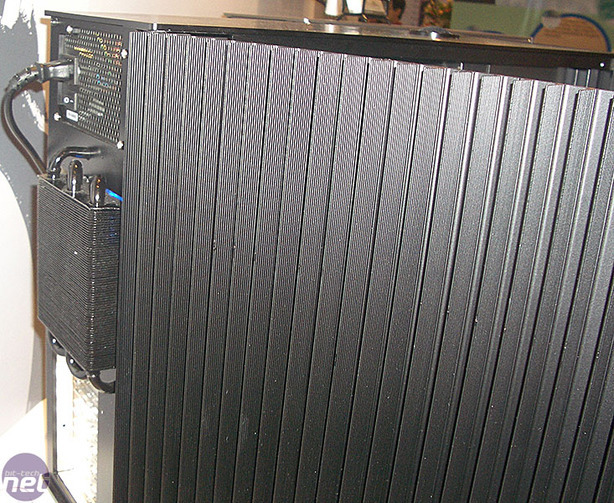 The main radiator is in the side of the case and is passively cooled, but there’s also a second one on the rear behind a 120mm exhaust fan to provide that bit of extra cooling. 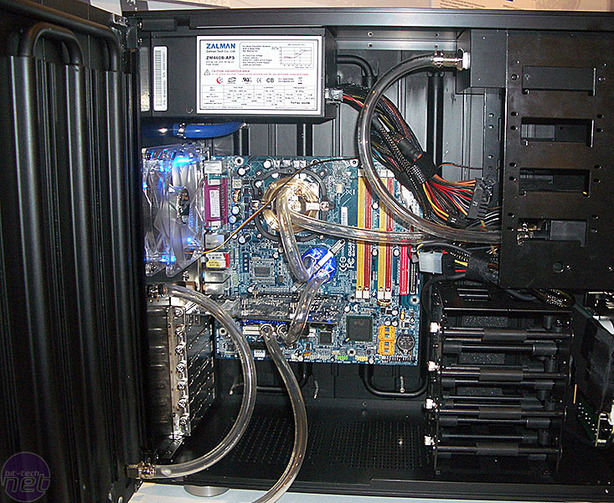 Both pump and reservoir are integrated and the whole system uses thin, clear tubing we are used to seeing from European manufacturers like Aqua Computers. The externals of the main casing are ribbed for a greater surface area (and inevitably your pleasure), but the front is smooth and clean. That clean look is complemented by a circular, red backlit flow meter, temperature gauge and fan speed indicator. Finally, the hard drives are mounted on vibration reducing rubber crossbars and the entire case, including internals, is covered in a fantastic looking black anodising. 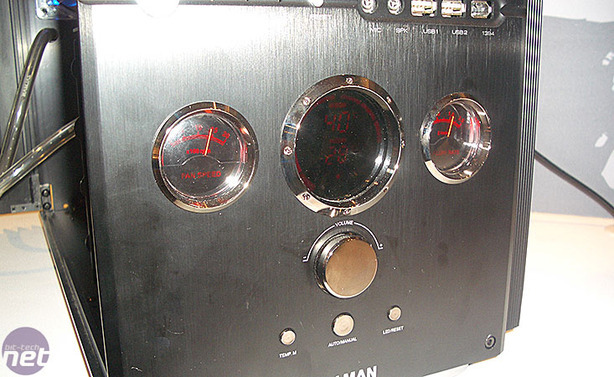 You can have it set to either automatic or manual control modes, making it an easy calibration for those who are newer to water cooling or who just don't want to fiddle with it. We can’t wait until it arrives to the market, but like many Zalman cases we expect it to be expensive to match the technology and thought gone into it. Do you love the look, or think it’s excessive? Let us know in the forums.